Baltimore City State’s Attorney Marilyn Mosby charged six police officers in the 2015 death of Freddie Gray. Five of those officers filed a lawsuit against her, alleging malicious prosecution. On Monday, a federal appeals court blocked that lawsuit, preventing it from moving forward. The 4th U.S. Circuit Court of Appeals ruling overturned the January 2017 decision of U.S. District Judge Marvin J. Garbis, according to the Baltimore Sun. At the time, Garbis dismissed charges alleging false arrest and false imprisonment, but ruled that charges of malicious prosecution, defamation and invasion of privacy could move forward against Mosby and Assistant Baltimore City Sheriff Samuel Cogen. Cogen wrote the statement of probable cause in the case. Gray, 25, was arrested by officers on April 12, 2015. That same day, he suffered a severe spinal injury while riding in the back of a police van. He died from his injuries a week later, and his death led to days of civil unrest in the city of Baltimore. 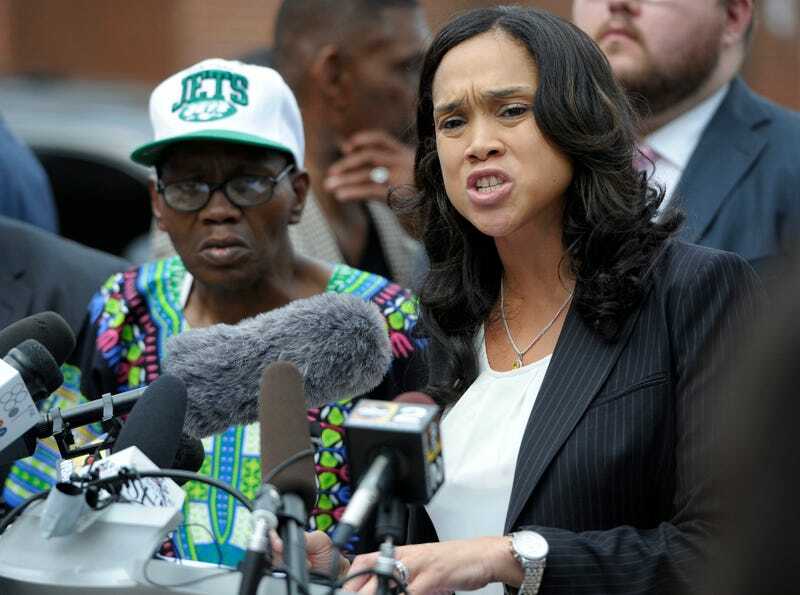 Mosby criminally charged all six officers involved in Gray’s arrest and transport. A judge eventually acquitted three of the officers of all charges, and Mosby then dropped the remaining cases. Five of the officers—Lt. Brian Rice, Sgt. Alicia White and Officers Edward Nero, Garrett Miller and William Porter—filed a civil lawsuit against Mosby, alleging malicious prosecution and claiming that she did not have enough evidence against them and only charged them in order to ease the civil unrest that followed Gray’s death. The federal appeals court agreed with Mosby’s lawyers, who argued that as a prosecutor, Mosby was immune from the lawsuit. We resoundingly reject the invitation to cast aside decades of Supreme Court and circuit precedent to narrow the immunity prosecutors enjoy. And we find no justification for denying Mosby the protection from suit that the Maryland legislature has granted her. That the Officers disagree with Mosby’s decision to prosecute — as most defendants do — or with the information in the application for Statement of Charges — which inherently contains defamatory information — does not entitle them to litigate their disagreement in court, and much less recover damages.